Backpacking often leaves travelers not feeling and looking their best. Whether you spend your evenings catching overnight buses or getting buzzed at the local nightlife venues, it is hard to stay diligent to a workout regime while traveling. 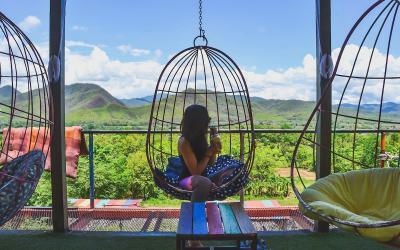 Luckily for visitors to Pai, Thailand, there are a few venues designed to help you get back into tip-top shape before venturing to the next destination on your itinerary. 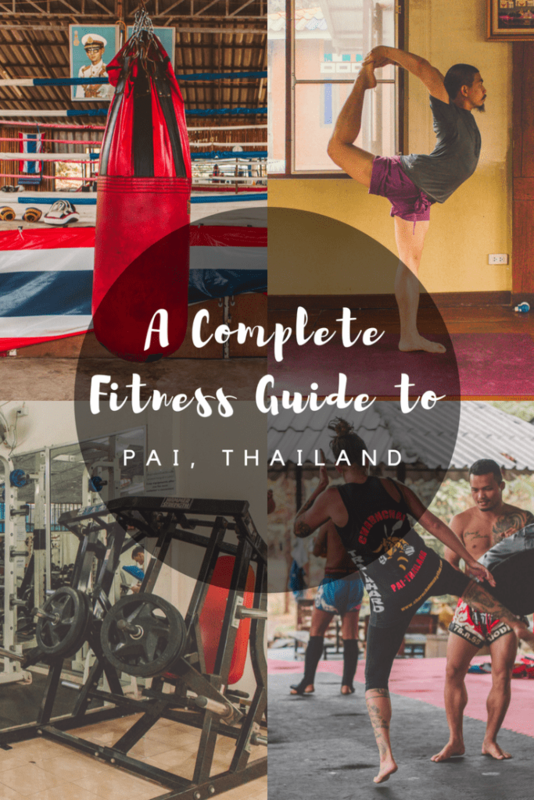 Get ready to get your sweat on as we roll out our complete Pai fitness guide! Practice yoga amongst new friends at Bom Bowls, a vegan restaurant and yoga studio with nothing but Pai’s beautiful landscaping acting as its backdrop. Classes are held daily (except Sundays) from 5:30-7 p.m., just as the sun is about to set over the city. Hannah, the instructor, is excellent about making sure that all students are holding their own in the classes, regardless of their skill (or lack thereof). 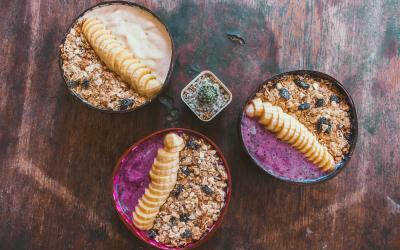 After class, head downstairs and indulge in a delicious smoothie bowl at the restaurant. 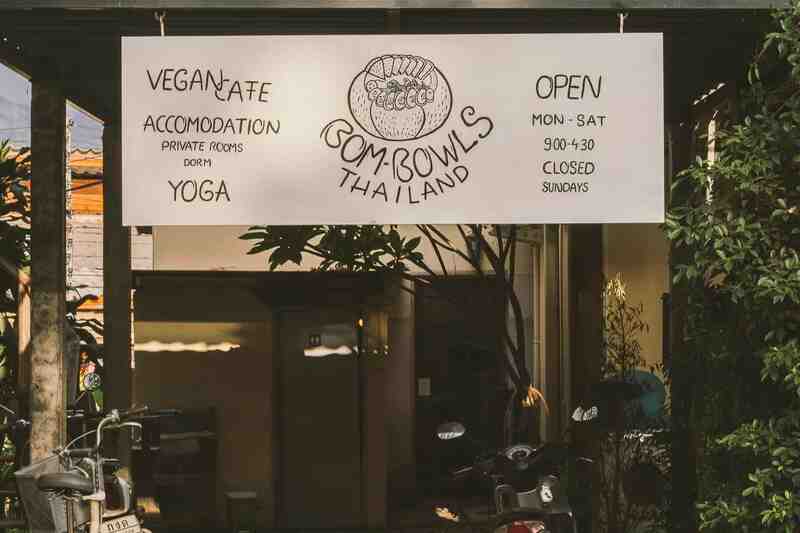 A drop-in class is ฿200, and a drop-in class plus a smoothie bowl is only ฿250. 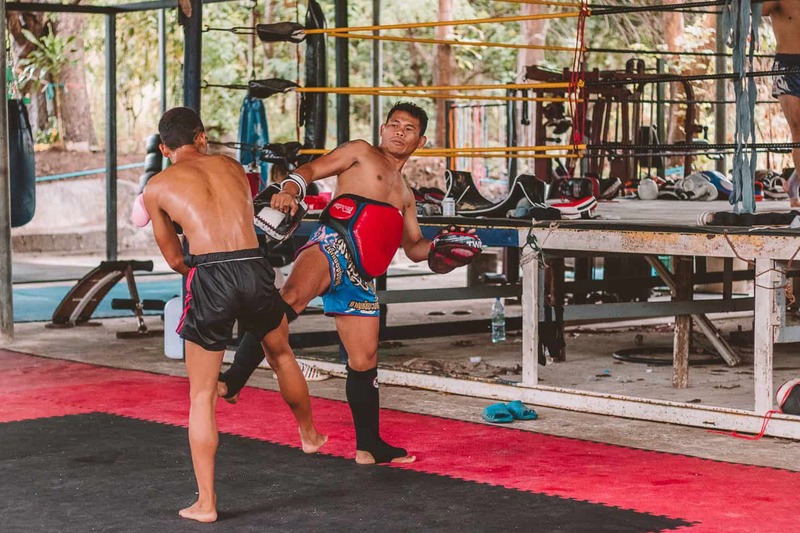 As the national sport of Thailand, visitors to the Kingdom must try their hands (and entire body, for that matter) at Muay Thai before departing the country. One of the best places in which to do so is at Charn Chai Muay Thai Camp in Pai. It is here you will get hands-on training with trainers who are incredibly fit and helpful all the same, including Bee. 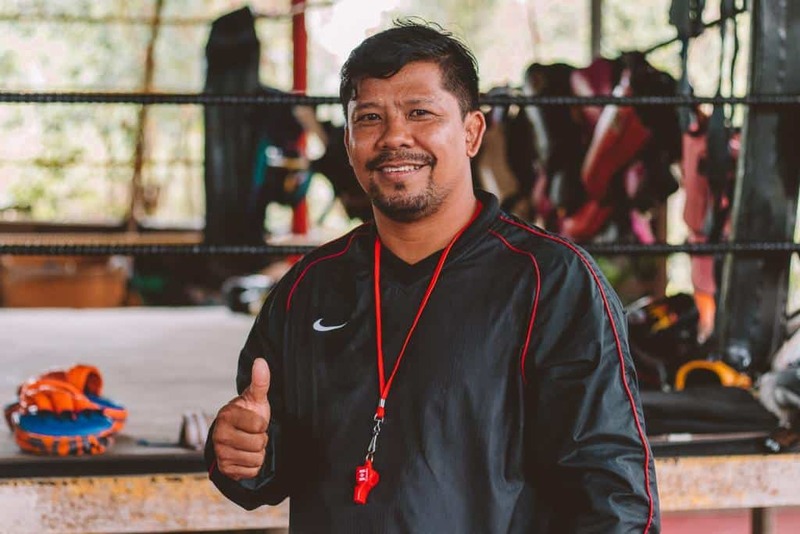 He started training when he was only ten-years-old and has been in the ring ever since. The price is ฿300 per session, ฿500 for an entire day, ฿2,200 for an unlimited week, or ฿8,000 for a month. 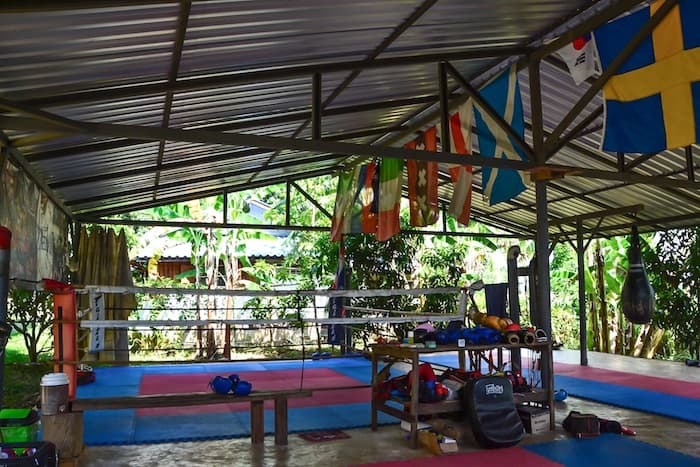 If you are serious about training in the ancient form of Muay Thai, then you will be happy to hear that Charn Chai Muay Thai Camp also has accommodation for full-time students. There are a variety of prices depending on your length of stay and meal plan. Newbies are welcome! 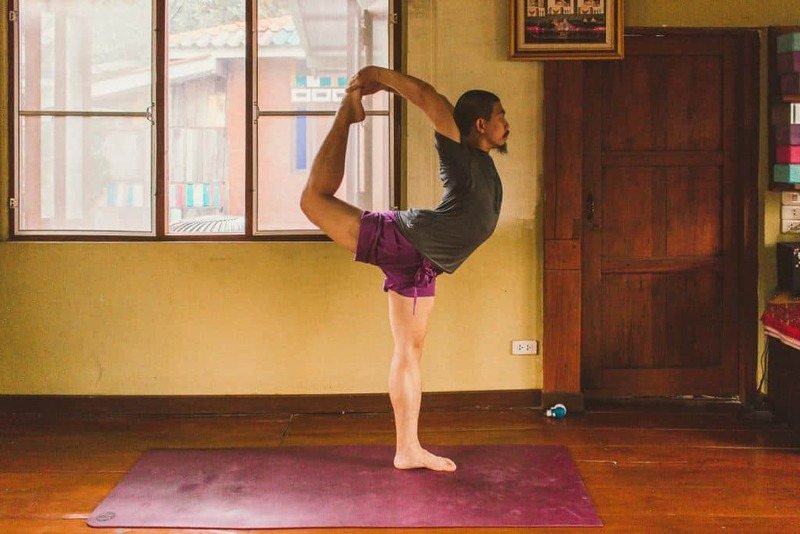 Find your balance at Pai Yoga Shala. 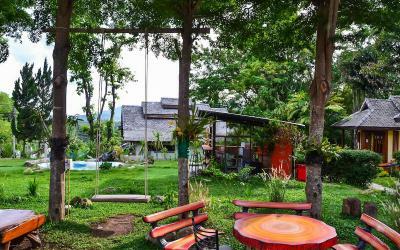 This yoga studio is situated a bit north of the town center on a quiet stretch of land surrounded by rice paddies. The open-air studio stays cool and breezy during classes, which are held four times a day at 8 a.m., 10:30 a.m., 5 p.m., and 6:30 p.m. Each class is an hour and fifteen minutes, which gives the instructors plenty of time to help you with your form. The conveniently placed mirror offers additional help with perfecting your technique. Yoga Shala has various classes, including fit flow, slow flow, open hip and inversion classes. Book your class ahead of time if you’d like them to come to pick you up (for free!) in the town center. A drop-in class costs ฿200, five classes in two weeks costs ฿900, 15 classes in one month costs ฿2,000, or an unlimited month costs ฿3,000. 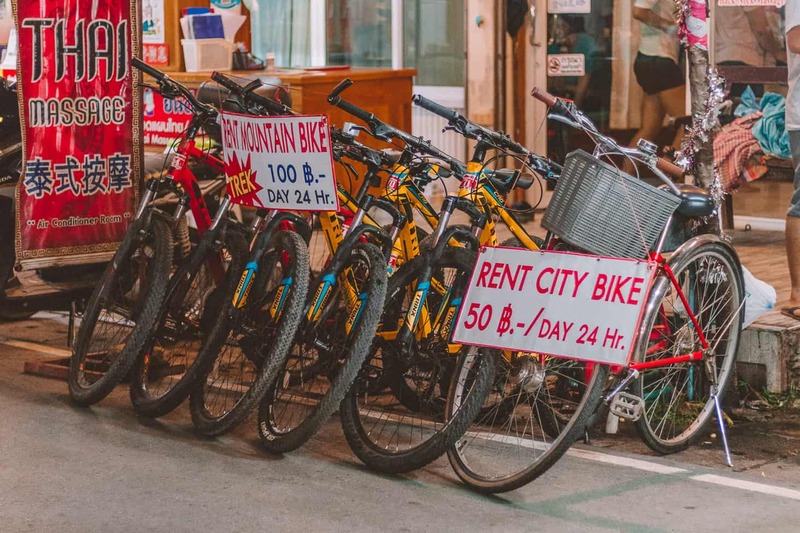 Instead of hopping on the back of a motorbike or moped, opt for a bicycle to get around Pai. Not only will you be getting in a good workout, but you will arguably be safely exploring the city, as well. Bicycles are about ฿50-100 to rent for 24 hours, but be sure to try one out before renting, as some have seemingly not had any upkeep for a long time. 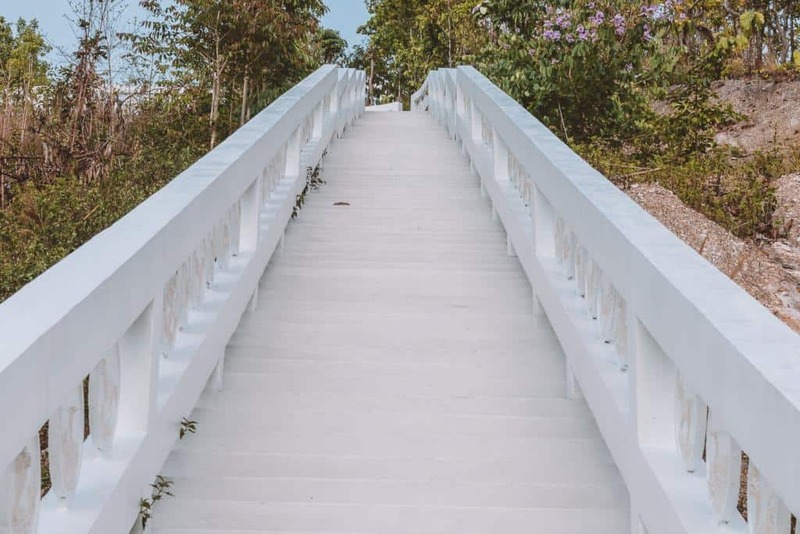 The city center is pretty flat, but as soon as you cross over the Pai River and beyond, prepare for some thigh-burning hills. 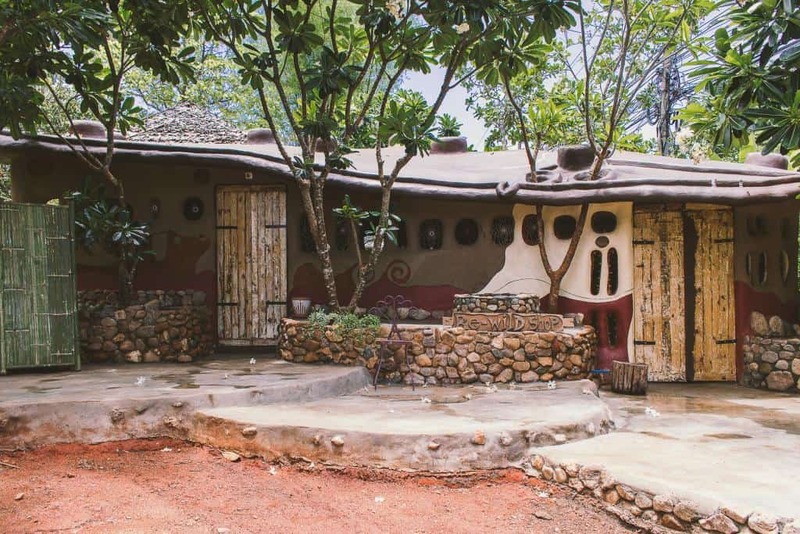 Get your workout on or channel your inner-artistic self at Re-Wild Guesthouse and Craft Shop. There are yoga classes offered here every day at 9 a.m. A drop-in yoga class is only ฿150 (about $4.50), making it the cheapest yoga studio in town! It is here you will practice traditional Thai yoga. 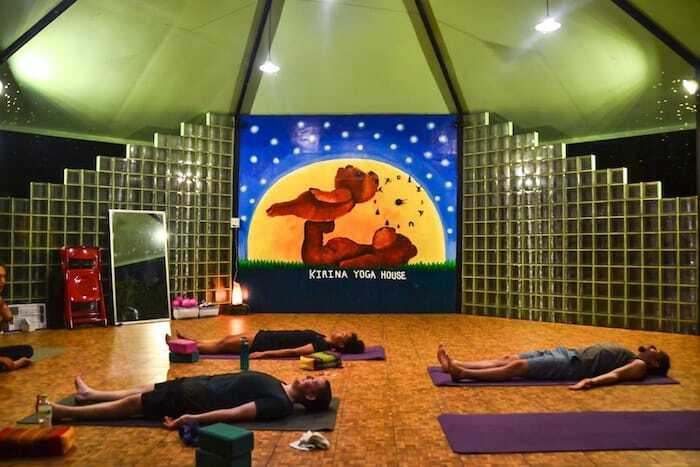 Learn more about the country, get in a good stretch, and meet your fellow yogis at Re-Wild House. If you are looking to escape Pai’s heat, if only for a workout, then Pai Fitness Home is the gym to frequent. 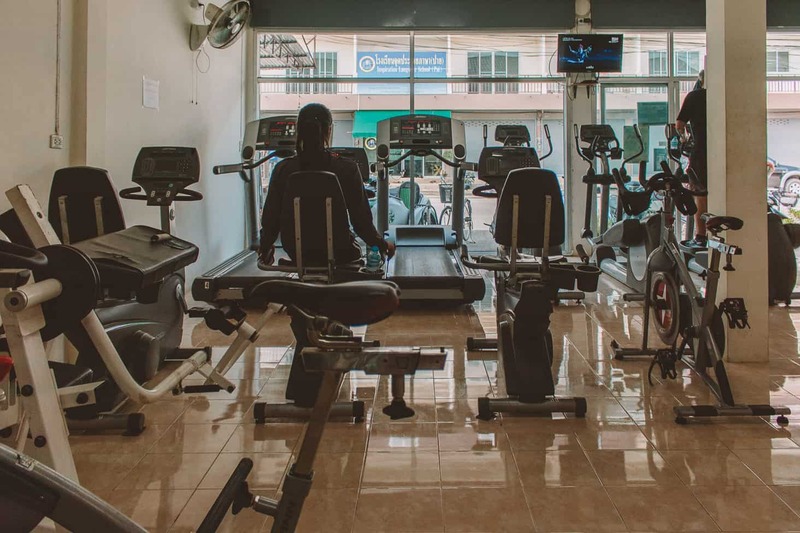 It is one of the most affordable fitness centers on our list and also has air-conditioning, which is unquestionably a bonus. 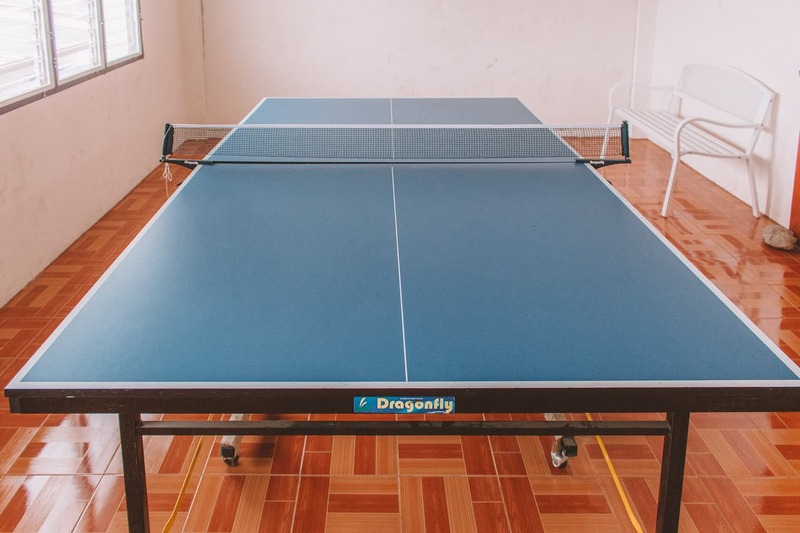 The gym is small but has everything you need to get in a good sweat session, including treadmills, exercise bikes, hand weights, and even a ping pong table. 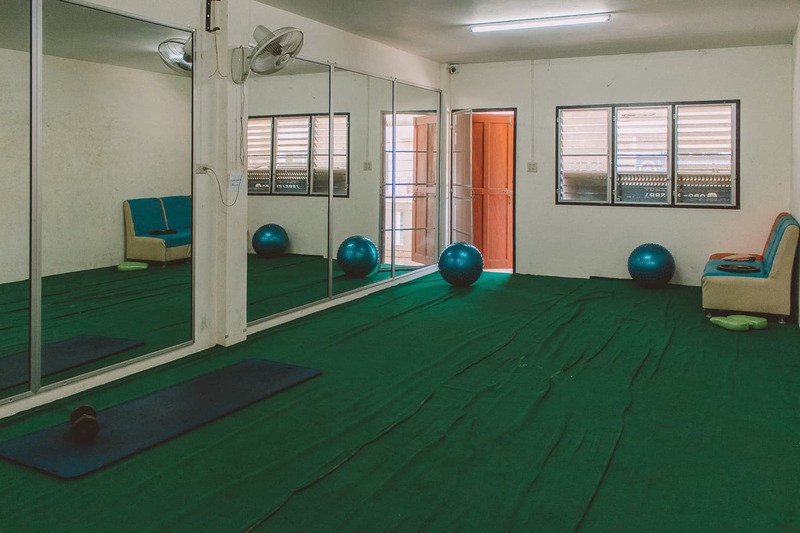 In addition to all of the necessary equipment Pai Fitness Home has, there is a studio on the second floor with mats and a large mirror for visitors to stretch or do some yoga poses. 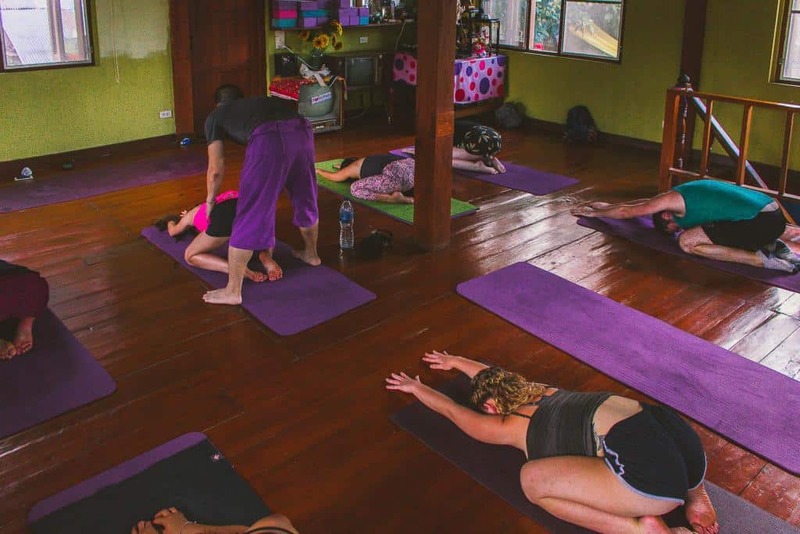 Sawasdee Pai Yoga is right along the Pai River and offers two different types of yoga classes each day: one at 9:30-11 a.m. and another at 5-6:15 p.m. The classes offered at this yoga studio and cafe welcome all levels to come and work on their practice. 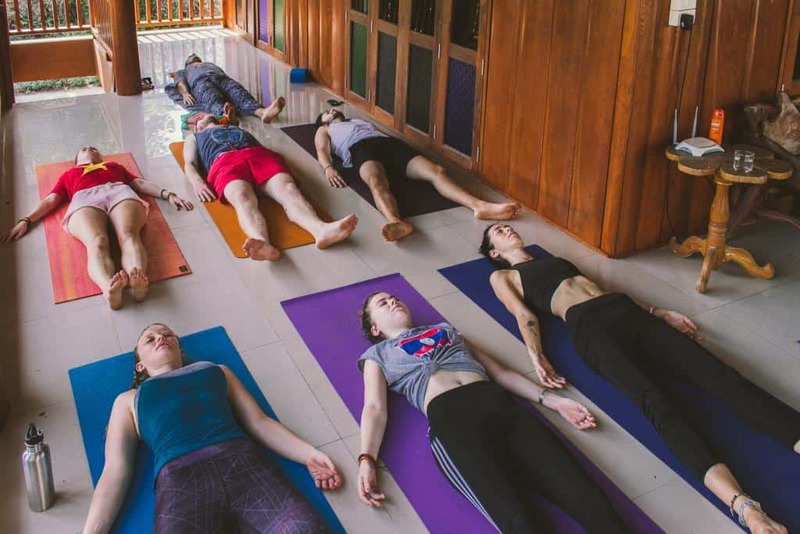 Sawasdee Pai Yoga has a standout number of different classes, with everything from Hatha flow, sun salutation, and many more in each daily class. The cost is only ฿200 (about $6), and items like yoga mats and blocks are included in this price. Afterward, feel free to grab a fresh cup of Joe or vegan dessert from the cafe that sits on the first floor of the studio. 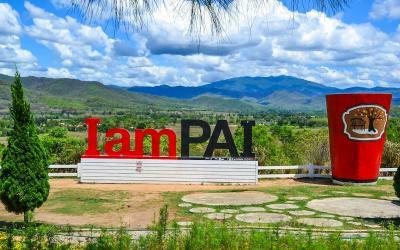 Hours: Daily from 9 a.m. until 7 p.m.
Pai is an incredibly walkable city. Most restaurants, bars, and shops are all in the town center, making them easily accessible, no matter where your guest house or hostel is. The roads are calm and without the traffic you see in Chiang Mai, making walks around town pleasant. 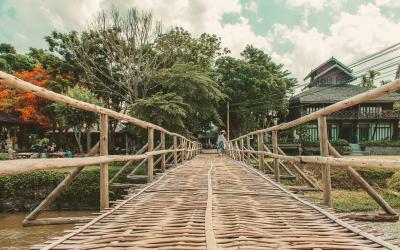 For some scenic routes, walk along the river and meander into the farmlands and around rice paddies to see Thailand’s natural beauty at its best, while also working off those beers from last night! 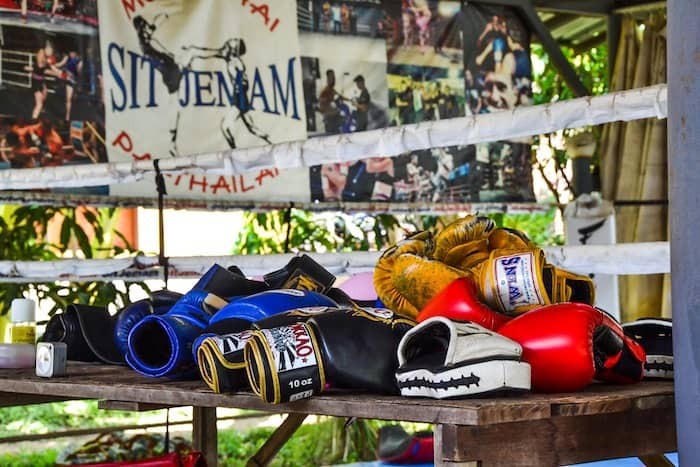 Sitjemam Muay Thai gym is perfect for all levels from newbs to veterans. 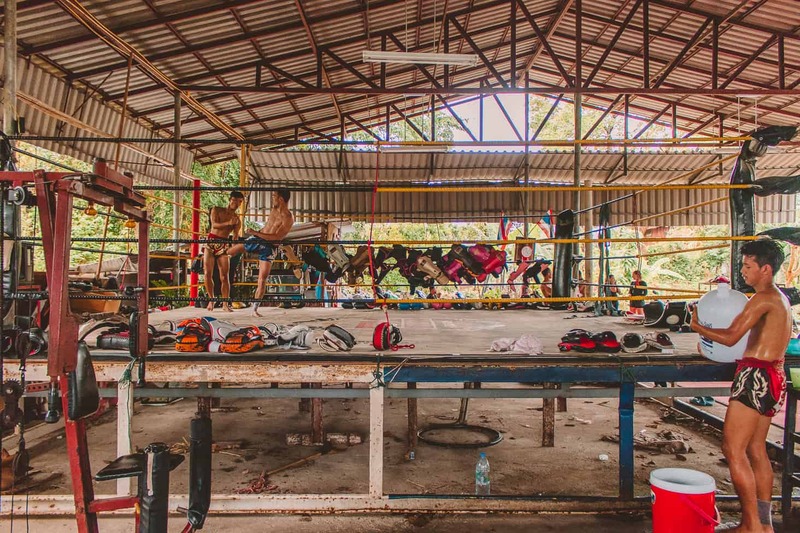 Train alongside legitimate (and sometimes famous) Muay Thai fighters while you practice your skills. The trainers, Em and Mam, are excellent, giving each person individual attention and helping to hone their skills. They will push you to your full potential, while still showing you a good time. Located in a quiet residential area, you’ll get an authentic Thai experience learning this renowned art and sport. Group sessions are ฿400 per person and are held twice a day from 8 a.m. to 10 a.m and 4 p.m. to 6 p.m. If you’d like to go to two consecutive sessions, the second class is only an extra ฿100. If you’re looking for adventure, make the journey to Mae Yen Waterfall. 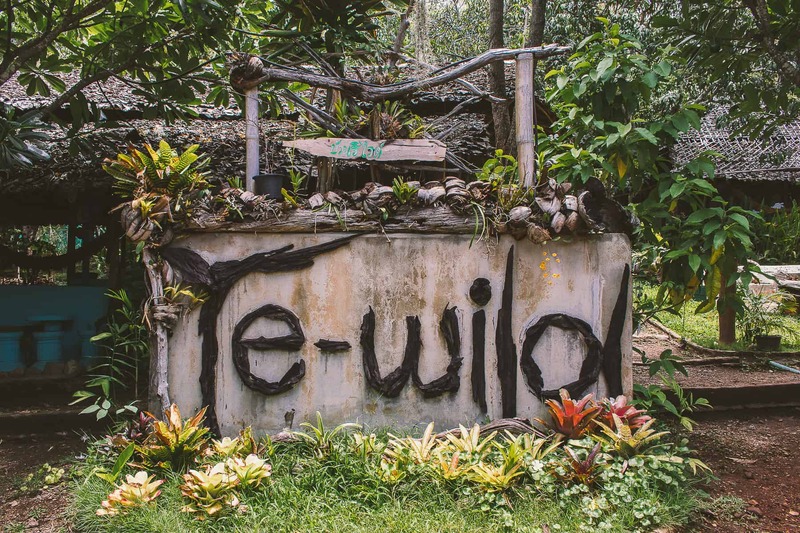 This scenic trek is about two to three hours each way through the lush jungle and dense foliage. The six kilometers to the waterfall will take you up and over hills and in and out of streams and rivers the entire route. Make sure to wear proper footwear, as you’ll be getting plenty wet during your hike. 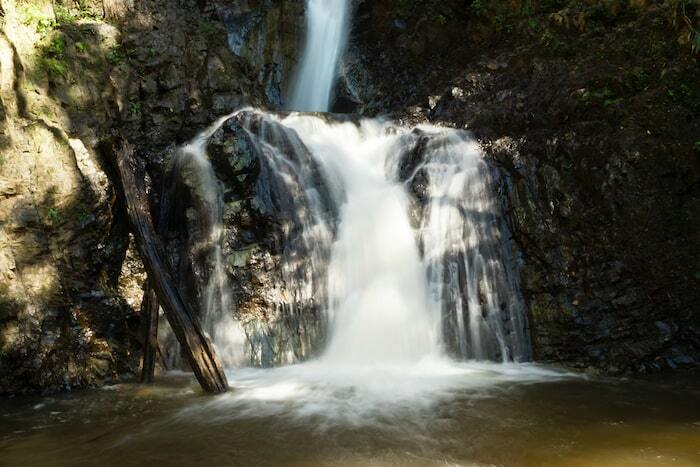 Once you get to the falls, you’ll be more than ready to take a dip in the fresh water. These mighty falls are much stronger than the more easily accessible Pam Bok and Mo Paeng waterfall, and the journey here makes it that much more worth it! 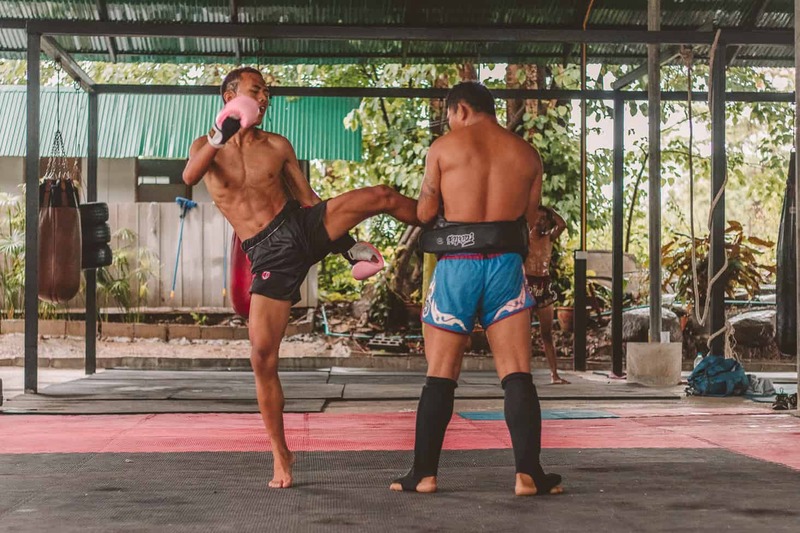 Did you love this article about where to get your sweat on in Pai? 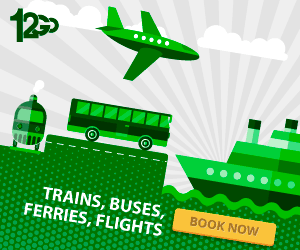 Do you want even more information about this city and the top things to see and do in it? 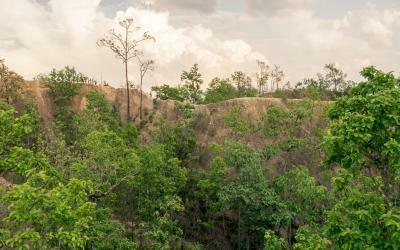 Then be sure to have a look at these articles we have rounded up for you before venturing to Pai in Northern Thailand!